I used to go to the gym twice to three times a week. That was last year, I must admit. I really enjoyed doing spin classes once or twice a week and one of my gym visits was reserved for working on my arms and abs. When I look back I actually think I had a quite good routine. On Tuesdays I would go to the spin class straight after work and on Thursdays I would also go to the gym after work but focus less on cardio and more on strength exercises. I would also go to the spin class on Saturday when I had the time or when the weather was bad and outdoor activities were out of a question. Everything changed once my work moved offices and I started cycling to work as a result. In the beginning I still made an effort and would go to the gym maybe once a week, but then this happened less and less often. At the end, I totally stopped going to the gym and I kept my membership just in case I wanted to go again – for times when the weather is not great and I cannot cycle to work. But then I didn’t really go. I started doing home workouts instead as this saved me time (going to the gym, changing and coming back all take time). When doing home workouts you do save quite a bit of time, don’t you think? At the end I realised that I really didn’t need the gym to be fit. Although I enjoyed going to the gym for many years and I had a nice routine going on, there were other ways of keeping fit. For me, it was a little bit hard to let go of this part of my life because I was so used to it but I finally did it last month when I moved to Manchester as I had no choice. Yes, this is the main reason why I cancelled my gym membership but not the only one. If I really wanted to I could always start using gyms in Manchester but for now I will avoid this option. Cycling to work played a big part in the change of my fitness routine and totally changed my thinking about cycling in the UK. Although everybody in the UK complains about the British weather, it’s actually not that bad for cycling. Many times it’s just cloudy and doesn’t rain at all. This didn’t stop me from cycling to work. I’ve learnt that even in winter, outdoor cycling is not too bad. You just have to be prepared for the cold and cycling can still be enjoyable. When cycling every day for about 50 minutes I definitely didn’t feel like going to the gym afterwards. I was exercising my legs every day, all I needed to add to my fitness routine were some home workouts for the rest of the body. Before my big move to Manchester I stopped cycling to work as I left my job. And then it was time to find other ways of keeping fit. Somehow I lost my motivation for cycling every day (no job to go to as I work from home now) but I introduced new activities in order to stay fit and healthy. So I started using 7 Minute Workout app which I am still using at the moment. I absolutely love this app. It’s easy to use and it really keeps you fit. You pick a set of exercises which will take you at least 7 minutes to complete. Ultimately, you decide on the length of your workout. This HIIT workout gets your heart racing and you get all sweaty. Never underestimate short workouts! Since I’ve been using it I can definitely feel stronger and exercises feel slightly easier. The 7 Minute app is just one of the fitness apps out there so do have a browse and see whether you find something else that suits you better. Fitness apps are a great way of getting fit and keeping fit. Finally, why go to the gym when you have so many different outdoor activities to choose from? In summer, the choice is bigger than in winter of course but still, this is something not to dismiss when you want to keep fit without the gym. Hiking, climbing, swimming, tennis, badminton, rollerblading are just some of the things you can do. Now that I’ve moved, I am slowly getting back to cycling and I am making use of a good weather for short bike rides. I also love going for walks to the local park. My advice: Find something that you enjoy doing and you will definitely have more pleasure in keeping fit. You definitely don’t need the gym to get fit or to stay fit. This is one of my primary reasons why I cancelled my gym membership. I know the weather in the UK is not always ideal for the outdoor activities but as long as there is no torrential rain I will make an effort and do my daily walk. I am also now trying to spend more time outdoors at the weekends, doing more cycling and hiking (if not in summer, when then??). Of course, I am not getting rid of the 7 Minute App and I will continue using it for toning and building muscles. How do you keep fit at the moment? 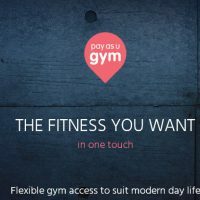 Do you go to the gym? Do you feel you need the gym to keep fit? I totally agree that you don’t need a gym to keep fit! So far I tried pretty much everything – Youtube videos, subscription sites or online gyms, physical gyms, the free equipment in the parks, online programmes, running outside. There are so many different ways to keep fit and each one of them works well if you want to make it work! At the moment I do have a gym membership, recently purchased, because I enjoy the occasional sauna and swimming and because they have regular health checks included. I used to run to work, but after I moved outside London the train is my only option. I am glad to hear you think the same Andreea! I also tried Youtube videos but haven’t tried online gyms or subscription sites yet but this is definitely something for the future.. Your gym sound great! My gym didn’t have a sauna, swimming pool or health checks, I guess it wasn’t that good after all.. I guess we all have to find a way of fitting exercise around our lifestyle and just do whatever works for us better. Some great tips here, thank you for sharing! We have a blog about badass women in sport, fitness and adventure, perhaps you’d like to take a read. Thanks, your website looks great!